The retirement health benefits at issue in this case are identical to other public employment and retirement benefits that North Carolina Courts have held be to be contractual in nature and not subject to unilateral change once the employee/retiree vests in said benefits. Bailey v. State, 348 N.C. 130 (1998)(Tax Exemptions for Post-Retirement Benefits); Simpson v. North Carolina Local Gov’t Employees’ Retirement System, 88 N.C. App. 218 (1987) aff’d per curiam 323 N.C. 362 (1988)(Retirement Disability); Faulkenbury v. Teachers’ and State Employees’ Retirement System of North Carolina, 345 N.C. 683 (1997)(Retirement Disability); Wells v. Consolidated Judicial Retirement System of North Carolina, 136 N.C. App. 671 (2000)(Retirement Pension); Bolick v. County of Caldwell, 182 N.C. App. 95 (2007)(Severance); Pritchard v. Elizabeth City, 81 N.C. App. 543 (1986)(Vacation Pay); Wiggs v. Edgecombe County, 361 N.C. 318 (2007)(Special Separation Allowance for Law Enforcement Officers). These retiree health benefits can only be classified as deferred compensation and are governed by the previously cited cases on the same basis. 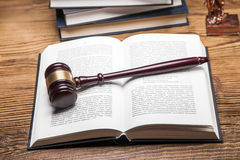 Because the Plaintiffs had all vested in the retiree health benefits prior to the unilateral reduction/termination of these benefits in 2009 and 2011, the Plaintiffs are entitled to reinstatement of the vested benefits and payment of back damages. Evidence of the contractual and vested nature of these benefits is acknowledged in the statutes that enable the state health plan(s), in employee handbooks, in retirement benefit pamphlets, in the legislative history of the health plan statutes, and in the State’s financial reports.